This site is maintained only irregularly as what has become a lot more successful is the Weekly Community Email Newsletter, that was launched in May 2010 and now has 1400+ subscribers. To subscribe, complete this form. It contains news, upcoming events, free classifieds, etc and a whole bunch of things which we hope will make your life in the best suburb in Auckland even better. If you want to have things included, please email at pointchevwebsite@gmail.com. Subscribe to the weekly newsletter and the full list of the Facebook pages of local clubs, organisations, and businesses is at the bottom. Our 800m2 community garden has a great potential to provide lots more healthy food. To achieve this, more gardeners and aspirational gardeners, builders and anyone really, are welcome to join Wednesday morning sessions from 9.30-12noon and/or additional during summer Thursday afternoon sessions from 5-7pm (replaced by Sunday afternoon sessions in winter after daylight saving). Want to know more? Stop by for a chat or a working bee at 25 Dignan Street. We are on an old bowling green, wedged between the Tennis courts and active Bowling Club greens. Welcome! Point Chevalier Lions – Members wanted! The Point Chevalier Sailing Club has Learn to Sail sessions early and late summer. 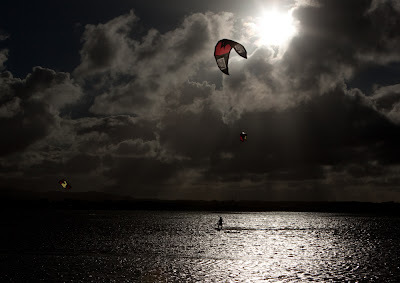 Windsurfing/kitesurfing lessons with local Auckland Windsurfing only $120 for a 4 hour beginners lesson. Rent stand up paddleboards from NZ Boardstore, Raymond St. Recycle your old clothes in the bins at the Rugby League Clubrooms, 417 Point Chevalier Rd. There are a number of volunteering opportunties in the area - see the volunteernow.org.nz website. Motat is always in need of volunteers, for both gardening and mechanical tasks. Friends of Oakley Creek do a wonderful job looking after this absolute treasure that no-one seems to know about. Here is what they collected on their annual cleanup in Feb '10. Reef Radio - Point Chev has it's own Radio station! Eric Allen is using his love and knowledge of music to give back to his local community, and runs Reef Radio station out of a small home studio 24 hours a day, seven days a week on 106.7FM. (Be warned it targets the older community...) . Read a Central Leader article about it. The Lower Meola Restoration Project (LMRP) started in late 2010, is a community led partnership between the Albert-Eden Local Board and local groups keen to restore the stream habitat within Meola Creek at Point Chevalier. The primary objective of the LMRP is to encourage active participation of local community groups to enhance the streams ecosystem primarily through planting of New Zealand natives along the stream edge. Priority for restoration was given to the lower section of Meola Creek following the development of the Meola Creek Watercourse Management Plan (WMP). To date more than 150 volunteers have planted over 4000 native species and significantly reduced the amount of noxious weeds along the creek. There's so much going on at the Council that we've given it it's own page. We fall under the Western Bays Community Board, and liaison with this can be done directly or via the Point Chevalier Community Committee, which meets monthly (see the Calendar for details) and has minuted meetings. Off leash exercise areas are Coyle Park, Eric Armshaw Park, Moa Reserve, and Meola Reef. For times and rules click here. Note all desposits must be picked up here as anywhere else. 4pm-10am, under control off a leash. Allow dogs under control off a leash east of the northern headland of Point Chevalier Beach. Allow dogs under control on a leash on the open grass areas, boardwalks and walkways of Eric Armishaw Park and to prohibit dogs on the remainder of the park to protect wildlife. Finding it hard to exercise by yourself? Everyone welcome to walk or run in a group every Wednesday night. Suits all levels of fitness. Walk or run at your own pace. Run by yourself or with someone. Everyone starts and finishes at Nomad restaurant. Have a drink afterwards! If you are interested in joining Pt Chevalier's cycle bunch, then turn up on Saturday mornings outside Rode and head out with a friendly group of riders. The bunch is of mixed age and ride between 40 - 75km every Saturday morning always finishing with coffee. There is also a ride most Sundays at the same time. For more information and to see what ride is on, go to the Point Pedallers page on Facebook. Leaders or helpers urgently needed for this year. Join us once a week (2 hours) or come along from 6pm-8pm on Wednesdays to share a skill. Dino Lawton has also created Point Chev T-shirts. Mail him at dino@themusicagency.co.nz, or call 021 823 765, or drop by Mud Pie Deli. Use Local Business so you can help your neighbours, and probably not have to pay a travel charge. The Point Chevalier History Group meets monthly and has a regular newsletter that gives a whole new dimension to our surroundings - fantastic. The number of Clubs and societies etc is amazing so check them out and get off your chuff and join one - you won't regret it. To plan your swimming at the beach (or to impress your visitors most effectively), you can see the next few days time tides at MetService. Yes you are allowed to take your portable barbecues to the beach (including charcoal), or use one of the four the Council provides (gas or electric and free) at Coyle Park, the Beach (Harbour View) Reserve, and Walker Park (between the two playgrounds on the Eastern side). Transition Pt. Chev (TPC) is a group of local active citizens committed to sustainability and building community resilience in Pt. Chev. Public meetings held Old Homestead, corner of Alberta St and Pt Chevalier Rd at 7.30pm on the first Thursday of the month. Visit www.transitiontowns.org.nz/pointchevalier for more info. BISC A community minded business group in Point Chevalier. To date they have lobbied successfully for better internet service and improvements to Countdown. They are currently addressingthe Council's proposal to build high density housing in the suburb. (Most people aren't even aware of this.) BISC. How can we make Point Chev Better? Mercy Hospice Shop, Point Chev Arcade - proceeds help run the Hospice in Ponsonby. More details here. They do not accept electrical goods, food items & large furniture. 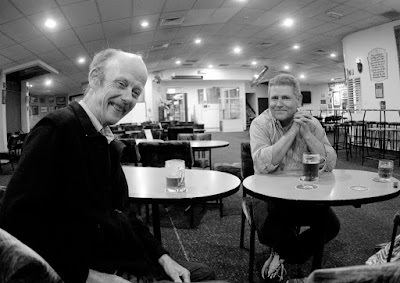 Not all our retailers are as good as they could be - check out the very bottom of this page of Russell Browns' Hard News blog on buying some wine from the Pt Chev Liquor Centre. There are a number of churches in the area catering for Catholics, Baptists, Presbyterians and Anglicans. 2 Montrose Street, Point Chevalier. Please contact Paula, Parish Secretary, on 846 7612 or via email at stfrancis-ptchev@xtra.co.nz for more details. Rates negotiable. Licensed Bar, Kitchen Available, outdoor area. Please ring Roy. Clubroom number is 09 846 4778.